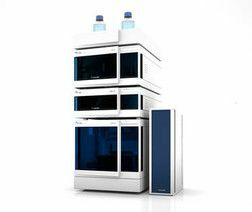 AZURA® Analytical HPLC systems are flexible and customizable. AZURA® helps you to cope with the multifaceted challenges of the laboratory day efficiently and reliably. The AZURA Analytical Systems offer a wide range of materials, flow rates, pumps, detectors and columns. They can therefore be adapted to all applications. The technology is completely Made in Germany and guarantees the best results, even with complex tasks. The AZURA Analytical HPLC is our all-round talent for your daily HPLC tasks.